The top court said there were "two ways to decide the case at hand. Either the parties sit together and find a solution", or the court decides the case. No meaningful dialogue is possible unless violence stops in the Kashmir Valley, Supreme Court said. 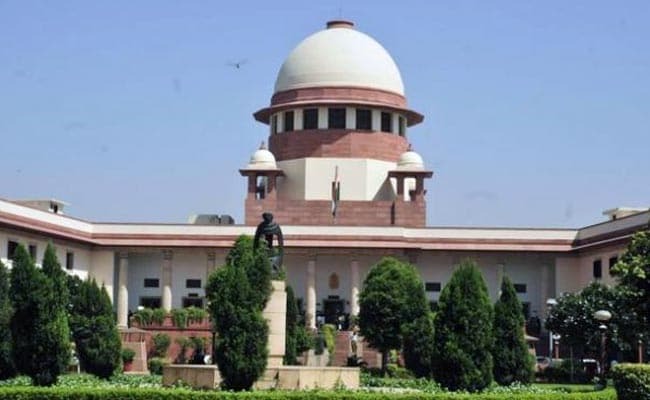 New Delhi: No meaningful dialogue is possible in Jammu and Kashmir unless violence stops in the Valley, the Supreme Court said on Monday. "Talks with whom? No talk can take place unless the violence stops," a bench of Chief Justice J S Khehar and Justice D Y Chandrachud said. The court was hearing the appeal of the Bar Association Executive Member against the September 22 order of the Jammu and Kashmir High Court order. The High Court had rejected the bar body's plea seeking a ban on use of pellet guns on the ground that the Centre had already set up a Committee of Experts through its memorandum of July 26, 2016 for exploring alternatives to pellet guns. It said the Bar was a "responsible" and "respectable" body and it should help in finding a solution and fixed the plea for final hearing on October 4. During the hearing, Solicitor General Ranjit Kumar, appearing for the Centre, referred to the plea of the Bar body in the High Court and alleged that they had even termed as "mysterious" the accession of Jammu and Kashmir to India. "They (Bar) are questioning the accession of Jamu and Kashmir with India. They term it mysterious," he said. He said the Bar body had come up with suggestions but they have not filed them. "The Government of India is willing to consider the suggestions". With regard to the standard operating procedures (SOP) being followed by the security agencies in the state, the law officer said that the SOP cannot be parted with as it was confidential. The bench asked the Bar body to file its suggestions in the meantime. Earlier, the government had ruled out talks with separatist elements or those raising the issues of "accession or Azaadi" in the Kashmir Valley. It had said that a dialogue to restore normalcy was possible only with the legally recognised stakeholders. The top court had asked the Bar body at Srinagar to come up with suggestions to resolve the crisis, including stone-pelting and violent street protests in the Kashmir Valley. The Centre had made it clear that politics cannot be allowed as the talks to restore normalcy in the Valley was going on at the highest level between Prime Minister and J&K Chief Minister. "The Chief Minister is with the Prime Minister, what further dialogue is required? The Prime Minister has invited the Chief Minister. She (Mehbooba Mufti) is their CM," the then Attorney General Mukul Rohatgi had said. The bar association is insisting that there should be a "unilateral declaration of cease-fire", withdrawal of security forces, revocation of AFSPA and stoppage of using pellet guns. It also blamed the governments after Atal Bihari Vajpayee of not taking forward the initiatives undertaken by him to resolve the contentious issue plaguing the state. During the hearing on April 10, the Centre had told the Supreme Court it was exploring a crowd control option that is akin to rubber bullets but not as lethal as pellet guns which were being used as a last resort to quell the violence.